In response to a question I sent out on what other people suggest for DUI laws and protection measures, one reader stated that US should follow Norway’s laws for drinking and driving to prevent drunk driving car accidents, which often leave victims extremely injured or dead. I looked into the laws for Norway and they state that the legal drinking limit is about .02 BAC compared to the US of .08 BAC. Norway is dead serious about stopping drunk driving and preventing senseless deaths and injuries related to car accidents. Norway’s .02 BAC level basically means that you cannot even have one drink and drive, otherwise you could potentially lose your drivers license for one year, lose one month’s salary, and go to jail. If your BAC is between .10-.15 you would go to jail for a minimum of 21 days in addition to losing your license for a year. The problem in the US with .08 BAC limits is that people can have one drink and sometimes two drinks and blow below a .08 BAC, even though they may exhibit signs of slow reaction times and poor motor functions, diminishing their ability to drive. In the US, people believe they are good to drive after drinking because it was just a couple drinks and they feel fine. In Norway, people drink and they do not risk driving because they have had a drink and know they could get a DUI and lose their license even though they are perfectly capable of driving, in American standards of thinking. 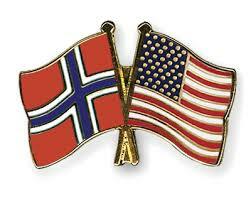 If the US had Norway’s DUI laws, people would not even have to debate whether they are too drunk or not to drive. A person that has had any amount of alcohol can easily reason with themselves that they drank alcohol and will blow over a .02 BAC. This takes the decision making/debate out of drinking and driving, which is the biggest problem with people who drink and drive. It’s not until they get caught and blow over a .08 BAC or that they crash and hurt someone that they realize they were not actually good to drive. If we are truly serious about stopping drunk driving car accidents and countless senseless deaths, we should take the debate out of people who are clearly not in the right mind to make a decision. We should advocate for a lower drunk driving limit if we truly want to make a difference with drunk driving car accidents. Are Washington DUI Laws Tough Enough? How does Washington State’s DUI laws rank compared to other states and are we tough enough to prevent people from drinking and driving? One website ranks Washington State 15/50 on one leading search website but are they actually tough enough to deter people from driving drunk and stop repeat offenders? Conversely, Mothers Against Drunk Driving Ranked Washington State 32/50 states in their 2017 rankings. Repeat offenders are the most dangerous offenders as they increase the likelihood of killing someone in a car accident each time they repeat offend. Washington State has a minimum sentencing guideline for first offenders who drink and drive with BAC under .15 of one day in jail and 90 day license suspension for first offenders, 30 days and two year license revocation for a second DUI, and 90 days and three year license revocation for a third DUI, if they occur within seven years of each other. For a BAC at or above .15, Washington State has minimum sentencing guidelines of two days in jail and 1 year license revocation for first offenders, 45 days and 900 day license revocation for a second DUI, and 120 days and four year license revocation for a third DUI, if they occur within seven years of each other. 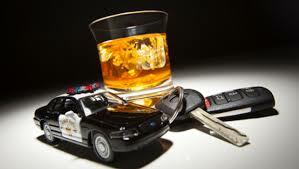 A fourth DUI within ten years is a class B felony that comes with at most 10 years in prison and a fine up to $20,000. When a person injures another person in a DUI car accident, vehicular assault, the defendant receives a class B felony which is subject to at most 10 years in prison and a fine of up to $20,000. When a person kills another person in a DUI car accident, vehicular homicide, the defendant receives a class A felony which is subject to life in prison and a fine up to $50,000. In comparison, a second DUI is a felony in Oklahoma with jail time of one year to 7 years and they count your DUI’s for 10 years. In Arizona, considered the strictest DUI state a 1st DUI comes with 10 day mandatory jail time with a second DUI getting you 90 days in jail. Arizona also has another level of offense for BAC levels at or above .20 that come with 45 days in jail for 1st time offenders and 180 days for 2nd time offenders. Some people will state that jail time is not a good thing for tax payers and for getting people to stop drinking and driving. Many states including Washington have electronic home monitoring, ignition interlock devices mandatory for cars, and car drivers license suspensions and revocations (meaning you have to take the drivers test again). 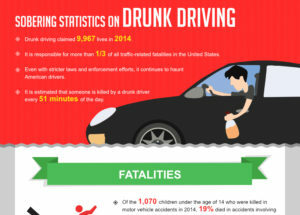 What will it take to stop people from drinking and driving? Do people need to sit in jail for years at a time to get sober and think about what they are doing? Will sitting in a jail cell with no ability to drink cure their addiction and stop them from driving? Alternatively, do electronic home monitoring devices and drinking programs detecting alcohol do a good job stopping drinking? It is hard to tell which one is right and which one will stop people from drinking and driving. Initial tough laws like mandatory jail sentences put a stigmatism on people that may prevent them from getting jobs, but obviously deservedly so, but will it more likely lead to more drinking and more problems? Do prior convictions hurt or help stop people from continuing to drinking and driving? A DUI in Washington will not count for a prior after 7 years but will count to for a 4th DUI if done in 10 years. Should these priors last longer on people’s records? Do mandatory license suspensions and revocations do enough? Do we need to do more to make sure people are not driving on suspended or revoked licenses? Can we hold their family members accountable for the actions of the drunk driver who continues to drink and drive on a suspended license? Many of these questions remain unsolved because we just do not have enough data on which is right and which is wrong. There are so many variables among states to determine which state has it right and which need to change their laws. The Mothers against drunk driving organization believes that states should have sobriety check points, ignition interlock devices for all drunk driving offenders with .08 blood alcohol content and above, administratively revoke driving privileges upon arrest for drunk driving, create enhanced penalties for those who drive drunk with children in the vehicle, and adopt penalties and expedited warrants for suspected drunk drivers who refuse an alcohol test. Washington State does not allow sobriety check points, as there is a belief that such check points are unconstitutional. 1,921 people died in drunk driving car accidents from 2003-2012 in Washington State according to the Center for Disease Control and Prevention. Arizona had 2,912 people die in the same period of time and Oklahoma had 2,205 people die in drunk driving related car accidents. Arizona and Washington have roughly the same amount of people living in each state while Oklahoma has less than half of the population of either state. We can always do more to help prevent people from drinking and driving. Educating our youths the dangers of drinking and driving, teaching people how to use ride sharing apps to get a ride home, better access to counseling for alcohol addiction, detection programs to report drunk drivers early, police patrols to catch drunk drivers, and others, can combine to help us prevent drunk drivers from taking our loved ones. Please do not drink and drive. Uber pool has been around for a while now. It is basically where you get a discounted fee for riding with another person who wants an Uber and the person is unrelated to your party to go to a destination that may be close to yours or starts somewhat near you. 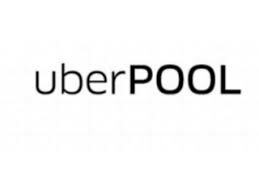 However, Uber pool is increasingly creating a hazard to Uber drivers as the Uber driver gets notified of a possible Uber pool ride in the middle of a trip with another passenger. Uber pool passengers select that they want a discounted ride by agreeing to possibly ride with another passenger. However, there may or may not be another passenger depending on if the driver gets notified that there is another passenger that they must pick up. Uber pool rides are completely different from other Uber rides. With non Uber pool rides, once a driver picks up a passenger, the driver can focus on following the map and taking the rider to the destination without getting notifications on their phone from Uber and the Uber App. With an Uber pool ride, the driver may be notified that they are to pick up another passenger for the Uber pool ride. The driver may get the message as they are getting on the freeway, taking an exit, or wherever, and this could cause the driver to have to make a quick decision to change directions to pick up the new passenger. This creates a hazard to the driver, the passengers, and cars around the driver. Using a personal electronic device while driving. (iii) Watching video on a personal electronic device. Uber pool’s inside notification of a new ride may be a violation of the Washington State law, as they would receive a notification and have to look at it and read it. While their trip may be automatically rerouted through navigation, they would get a notification that may violate the law. They would then have to re-route their current trip and catch the next exit on the free way or turn on the next block, possibly in heavy traffic. On the freeway, missing an exit could be the difference between a 10 minute trip and a 30 minute trip. Being injured in a car accident with Uber or Lyft is always complicated because of the different levels of insurance coverage based on whether the driver has a passenger, is looking for a passenger, or has their app off. If you have been injured in a car accident by a Uber or Lyft driver or were injured by someone else while driving for Uber or Lyft, call a Seattle car accident injury lawyer today for a free consultation. Can you park within 30 feet of curved stop sign? In Seattle, there are many places where you can’t quite figure out if you can legally park there or not. One instance of such a quandary is parking within 30 feet of a stop sign where the stop sign is jutted out into the street. You cannot park within 30 feet of stop signs because if you do you will get a ticket but also because it blocks the view of other drivers who was to see if there is traffic coming in your direction or not. Parking close to a stop sign can block people’s view of traffic, causing a car accident. Is a jutted out stop sign considered a normal stop sign for the purposes of determining if you can park within 30 feet or not? It seems that the jutted out stop signs purpose is to allow more parking, while at the same time creating no vision problems for drivers. There is no clear answer from what I have found. 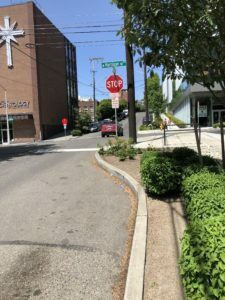 However, both the Seattle Municipal Code and the Revised Code of Washington possibly leave the door open for this unique situation where they say “any stop sign located at the side of a roadway”. The curved out stop sign may represent an exception from this law as it could be argued that the stop sign is not located on the side of the roadway at this point, as the stop sign is jutted out into the street. 11.72.370 – Stop sign approach. The leading cause of deaths among children under 12 is car accident related injuries. Seattle has some of the worst traffic in the US and there are a lot of people driving in the city that are not familiar with all of the streets, hills, and rules of the road. Couple this with driving around with a young child and you want to do everything you can to keep your child safe. Washington State has one of the strictest laws on child car safety. The law was created in response toa Walla Walla parent, Autumn Alexander Skeen who lost her four-year-old son, Anton Skeen in a rollover collision. Anton was using a seat belt in accordance with state law at the time. Yet, because seat belts are built for adult bodies, he slid out of his seat belt and was thrown from the vehicle and crushed in the collision. If you do not follow the law correctly, you could receive a ticket for not properly restraining your child for $112 for each child. Children are far more likely to be injured in a car accident when they are not properly seated in the car with the right safety restraint devices for their size and age. However, if you get a ticket, know this. The state created a clause in the law that will actually allow you to not have to pay the fine so long as you can prove that you went out and purchased a child booster seat or car seat. They figure that the fine would be better spent on keeping the child safe. Children under age 8, unless they are 4’9″ tall (whichever comes first), must be restrained in an appropriate child restraint system (car seat or booster seat). Children 8 years old or at least 4’9″ tall who wear a seat belt MUST use it correctly (never under the arm or behind the back) or continue to use a child restraint. Children less than 13 years old must ride in the back seat of cars, unless there is no back seat. 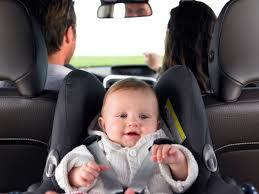 Child restraint system must be used correctly according to the car seat AND vehicle manufacturer’s instructions. Always follow the manufacturer’s instructions and guidelines for both the child restraint and the vehicle. The law is very vague and provides that you must follow the proper instructions by the manufacturer. Different car seats have different weight limits and different sizes requiring different positions. Rear Facing Car Seats – 2 Years or Younger and weight limit- Generally, a child must be in a rear facing car seat until they are two years old or have outgrown their seat according to the manufacturer’s guidelines. Rear facing car seats in the back seat are the safest position for your child and should be left in this position as long as possible, until they meet the guidelines for change. The middle back seat is the safest to protect from side impacts. Infant car seats are generally only made for rear facing children and are not made for forward facing positioning once they have outgrown rear facing. Infant car seats are generally lighter and have carrying handles. These generally have lower weight limits and don’t last as long as convertible car seats. Convertible car seats are much bulkier and do not have handles on them. These are made to both be positioned rear facing and then forward facing once your child is big enough. These are made so that your child can stay rear facing longer than infant car seats. Most convertible seats have weight limits for rear facing up to 40 pounds. Forward Facing Car Seat – Generally, forward facing car seats have guidelines that state that a child must be in the car seat from until they are 65 pounds and less than 4’1″ tall. Some children will get too tall for their car seat and require a booster seat and an earlier age than others. Booster Seat – Booster seats are made for children who have outgrown their forward facing car seat. Generally, booster seats are for children until they are 4’9″ tall. Booster seats are generally only for children who are at least 40 pounds and have outgrown their car seat. Seat Belted in Back Seat – In Washington State, a child may not be only restrained by a seat belt until they are at least 4’9″. Children must ride in the back seat until they are 13 years old, under Washington State law. Note: Just because a child is 8 years old does not mean that they can safely be seated in a safety belt alone. Children should continue to follow manufacturer’s guidelines and use a car seat or booster seat until they recommend not to. The city of Seattle is notoriously bad at all things related to traffic. There is so much poor planning on the part of the department of transportation in Seattle and Washington that it is no surprise that we are one of the worst cities for traffic in the US, number 6 in the US according to US News in 2015. What adds to the traffic is poor street sign design and implementation. Most people see red turn arrows and think that they cannot turn in the direction of the arrow when it is red. I was just sitting behind someone in traffic today that had a red turn arrow and mistakenly believed that they could not turn right on red. I let her know that she could turn right by honking my horn a couple of times, the polite thing to do, right? Contrary to common belief, you can turn right on a red turn arrow. 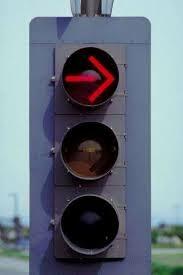 A red turn arrow is treated like a normal red light stop light. You must stop at the light and then proceed to make your turn if traffic is clear. The only time where you are not allowed to turn right on a red turn arrow is when there is another sign that states no turn on red. Washington State RCW 46.61.055(3)(c)​ Vehicle operators facing a steady red arrow indication may not enter the intersection control area to make the movement indicated by such arrow, and unless entering the intersection control area to make such other movement as is permitted by other indications shown at the same time, shall stop at a clearly marked stop line, but if none, before entering a crosswalk on the near side of the intersection control area, or if none, then before entering the intersection control area and shall remain standing until an indication to make the movement indicated by such arrow is shown.However, the vehicle operators facing a steady red arrow indication may, after stopping proceed to make a right turn from a one-way or two-way street into a two-way street or into a one-way street carrying traffic in the direction of the right turn; or a left turn from a one-way street or two-way street into a one-way street carrying traffic in the direction of the left turn; unless a sign posted by competent authority prohibits such movement. Vehicle operators planning to make such turns shall remain stopped to allow other vehicles lawfully within or approaching the intersection control area to complete their movements. Vehicle operators planning to make such turns shall also remain stopped for pedestrians who are lawfully within the intersection control area as required by RCW 46.61.235(1). Why then put a red turn signal stop sign if it acts exactly like another red light? To confuse people? I think the reasoning behind placing in the red turn arrow was to let people know you can only turn right in this lane. However, this just confuses people more and causes traffic to bottle neck up. There is not greater cause than to keep our children safe as they learn to integrate into our society and learn the dangers of society. School zone safety mechanisms are such causes. We make 20 mph speed limits in school zones so people can safely stop when an unexpected child runs out into the middle of the street because they were chasing a ball, running to their parents, or playing tag. Children in grade school, especially, are learning basic life skills and may not be aware of the true dangers of walking or running around busy school streets. 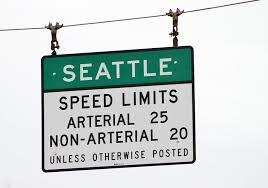 Seattle has so many school zones that you may miss them if you are driving in an area that you are not familiar with. This could lead to a $234 ticket by camera or by police officer, if you are driving over 20mph while the flashing lights are on or children are present. For the 2017-2018 school year, Seattle school districts changed some of the usual hours for schools. Instead of grade schools starting at 9am and going until 3pm, most grade schools are now starting at 7:55am and going until 2:25pm. However, on Wednesdays, schools have early releases at 1:10. This means that the school zones will go on earlier and you may be caught unaware if you are not careful. Most Seattle middle schools and high schools changed from 7:45am starts and going until 2:15pm to 8:55-3:45 and getting out at 2:30 on early dismissal Wednesdays. For a complete list of school schedules, check out the Seattle school districts site here. The reason for the change in times was because of studies showing that younger children are wide awake early in the morning while teenagers and other young adults need more sleep in the morning. According to the Seattle school districts website, School zone cameras and flashing warning signals generally start 40 minutes before a school starts and lasts until about 10 minutes after school is to start. Additionally, the school zone cameras and warning signals start 10 minutes before school gets out and ends 30 minutes after school ends. No one wants to see their child or anyone else’s child hit by a car. There is no more of a horrific scene than to see your young, innocent loved one struck by a car. Car accidents are devastating events that are easily preventable with care and attention for those around you. Drive safely and anticipate others. Drive slow in school zones for your children and other children’s safety and well being. Can honking your horn get you a ticket? The other day my wife told me that she saw a Facebook post from a local mom’s group that someone had gotten a ticket from Seattle police for honking at someone to move on a green light. I was somewhat surprised that the person was given a ticket, as I am sure you are as well. The Facebook group said that you are only allowed to honk in emergency situations. The law in Seattle for honking your horn is found in RCW 46.37.380. It states that the driver of a motor vehicle shall when reasonably necessary to insure safe operation give audible warning with his or her horn but shall not otherwise use such horn when upon a highway. 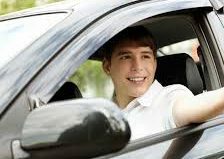 Since the law states that you can use your horn when reasonably necessary to insure safe operation of driving it is up to someone’s interpretation whether you were using it to make someone safe. Therefore, the judge could review the infraction and determine whether someone was acting reasonably when they honked their horn at another person who was not going on a green light. The person’s argument could be that because the light was green, they would fear that someone may rear end them if they do not start moving soon. The law does not state that it has to be an emergency, it only states that honking the horn will insure safe operation of the car. What is safe operation of the car? Safe operation of the car could be anything, really. It could be to warn someone not to turn into them that may not see you in their blind spot in order to avoid a car accident. It could be to make someone aware of you that is trying to turn right in front of you. What it is not, however, is something that is from road rage. You cannot honk at someone because they cut you off for incessant amount of time. One honk warning them that they might hit you should be ok. Blaring on the horn is not ok after that point. This probably also means that you cannot honk at your friend to come out of the house because you are here. Basically, you cannot honk your horn for anything other than to warn or make other drivers aware of what you are doing or what they are doing to keep each other safe, seems like a reasonable interpretation of the statute. The other day a man was driving his car trying to turn left across traffic. A woman stopped to let him across because traffic was congested She motioned him to come through the intersection but another car came flying up in the lane next to her and hit the guy trying to turn left. Who is at fault for a situation like this? Obviously the driver who was taking a left has to yield for oncoming traffic so he is liable at first glance, but what about the woman who signaled him across? Shouldn’t she take some blame by so adamantly waving him across in a way saying, “traffic is clear buddy, you better hurry up and take my nice gesture”? Or should the guy be 100% liable as he should have gone slow and checked the next lane? What if he couldn’t see very far down the next lane? In general, the person waving another person through an intersection has no duty to the other driver to keep them safe from harm but only to make sure they do not hit the other person. However, once the driver signals to the other driver to come through their intersection, this person may be undertaking a duty to the driver they waved through the intersection. The case would hinge on how much of a duty the court viewed the woman who signaled the man through the intersection has by the wave. If the wave was an emphatic one that made it appear that there was no more traffic and the coast is clear, a court may find the woman has undertaken a duty to act reasonable with the safety of another driver she has now signaled. However, if the court found that the wave was just a signal to the other driver she is letting him through but not that there is more traffic coming, this could alleviate her responsibility for the car accident. The moral of the story is to be extra careful when waving cars through an intersection when you do not have control over drivers that are behind you and lanes that are next to you. You may be at fault for waving someone through an intersection or into traffic that you otherwise would not have been. An article in the Wall Street Journal over the weekend stated that speed limits on highways around the nation are increasing instead of decreasing. Most studies show that car accident injuries become more severe when speed is increased so a move around the country to increase speeds is contrary to popular knowledge of safety mechanisms to decrease severe car accident injuries. The Insurance Institute for Highway Safety estimates that there were nearly 27,000 car accident fatalities from 2000 to 2013 because of higher speed limits. In their study the IHS compared the effects of all states increase in speed limits from 1992-2013 when deciding what would have happened had speed limits stayed at federal limits of 55mph. Surprisingly, traditional speed limits are set within 5mph of the speed at which 85% of vehicles travel along a roadway in free-flowing traffic. This guideline is endorsed by the Federal Highway Administration but the National Transportation Safety Board recommends using crash statistics and other factors to set speed limits. Texas increased it’s speed limit 5 mph a year from 70 in 2011 to 85 three years later. In 1973 the National speed limit was set at 55mph down from 65 to 75 mph in most rural areas. The decrease in speed limit the next year led to 9,100 fewer car accident related deaths the following year, according to the National Research Council. However, the National limit was repealed in 1995 due everyone’s need to go fast to save time. However, a driver going 80mph compared to someone traveling 75mph will only save two and a half minutes in a 50 mile stretch. In 2015 in Seattle, 44 pedestrians, 23 bicyclists and 119 people in vehicles were killed or severely injured in car accidents. 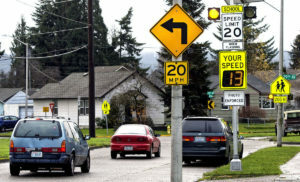 In an effort to combat car accident related deaths, Seattle has decreased speed limits around the city in order to make it safer for drivers and pedestrians alike. In 2016, Seattle decreased speed limits city wide by 5mph on all major intercity streets. The former 30-mph limit falls to 25 mph for downtown and connecting central-city arterials, which are generally the streets with more than two lanes, or two-lane streets divided by yellow striping.The residential speed limit of 25 mph falls to 20 mph throughout the city, including hundreds of unmarked roadways — in many cases, too narrow for drivers to safely exceed 20 anyway. Copyright © Andrew Cherin, Attorney at Law. All Rights Reserved.